The system was not provided fully constructed. Instead, the consumer would receive the individual elements and would have to assemble them into a finished unit, a task which might require some soldering. The modular nature of the system meant that the appearance of finished versions was largely up to the whims of the consumer. The picture on the right, for instance, shows a completed Project 60 in a wooden case, with the dials of the Stereo Sixty on the front of the fascia. 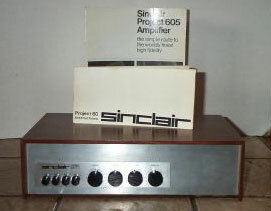 The Project 60 was a considerable success, not least due to the fact that it was about half the price of a comparable amplifier at the time. It sold well and was supplemented by the Project 605 kit in 1972. It was eventually superseded by the more advanced Project 80 kit in 1974.